The good news is that a number of Philadelphia boxers are slated to fight over the next few weeks. The bad news is, given the dormant state of our fight scene, they all had to hit the road to squeeze in a fight before the end of the year. How Philadelphia boxing is currently in hibernation is a topic for another day. Today we profile each of our road warriors and their upcoming bouts. Philadelphia's forgotten man, Lajuan Simon closes out his year in a 12-round main event versus Dionisio Miranda (20-6-2 / 18 KO) for the Vacant WBC Continental Americas Middleweight Title. Simon (23-2-2 / 12 KO) has been our unsung hero of late. Last year he travelled to Europe for a world title bout and a world title elimination fight. He's won regional belts and fought all over the place - just six of his starts have been in Philadelphia - but he gets so little press. It's a real crime (PBH is guilty too) because Simon is a class act who fights at a very high level. Here's hoping he wins big tonight and has a great 2011 - with everyone watching. Note: Also on the Dover Downs card are Zeferino Albino (3-11-2), Gustavo Dailey (4-9), & Rachel Clark (5-4). UPDATE: Dionisio Miranda defeated Lajuan Simon by 12-round split decision. Other results: Dan Biddle W4 (U) Zeferino Albino; Ryan Belasco W6 (U) Gustavo Dailey; Rachel Clark W4 (U) Michelle Garland. Philly's biggest enigma of the moment, Eric Hunter returns to the ring tonight in a nationally televised opportunity against Luis Franco (7-0 / 5 KO) in a ten-round fight for the Vacant WBO NABO Featherweight Title. If you ask all of the gym rats and old timers around the local scene, most will name Hunter as the best talent in the city. But we never see him! An Olympic alternate in 2004, lauded amateur and once-defeated pro, Hunter (15-1 / 8 KO) has plenty of skill, but his lack of activity and career movement over the past five years have brought boxing fans more head scratching than applause. 2010 has been an unusually busy year for "Outlaw"- this is his 5th bout. So perhaps at age 24, he's finally decided to make his move. But he faces an experienced Cuban with an exceptional amateur background. It's great that the bout is televised tonight. We can all watch and see if Hunter is the next one to watch. UPDATE: Luis Franco WDQ8 Eric Hunter. Franco was ahead on the scorecards when the fight was stopped for repeated low blows by Hunter. North Philly's undefeated welterweight Raymond Serrano (13-0 / 6 KO) takes on Geoffrey Spruiell (8-9 / 2 KO) in an eight-rounder under the Shamone Alvarez vs. Ayi Bruce fight main event. Away fights are commonplace for Serrano who has only fought in Philadelphia twice (granted Atlantic City is really a Philly Boxing suburb). An interesting note is that Serrano already has a six round decision win over main-eventer Ayi Bruce earlier this year, but yet finds himself in a preliminary bout. Not to worry. Serrano looks like a riser with a nice future, and at age 21 should not be in a rush. He gets a shot to look good tonight against a shop-worn foe. UPDATE: Raymond Serrano scored a 5th round KO over Geoffrey Spruiell. The time was 0:27 of round five. LIVE: Tickets still available and the drive from Philly isn't bad at all. Junior middleweight Rosado climbs back into the ring after his July classic against Derek Ennis for the USBA belt. Gaby lost the bout but looked good in the process and pleased the crowd that night. He has sat frustrated and inactive for more than four months waiting for another fight. He's finally got one in Newark this Thursday, under the 12-round heavyweight contest between Tomasz Adamek and Vinny Maddalone. 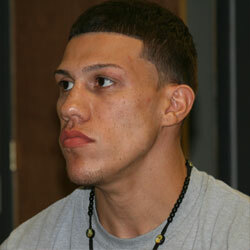 Rosado's opponent is Jose "Stinger" Medina (12-8 / 5 KO) of New Hampshire via Mexico. Against Medina in the scheduled eight-rounder, Rosado should be able to fight off any rust, get the taste of that last (close) loss out of his mouth, and work on a couple of nagging style holes. This fight is a warm up for 2011. UPDATE: Gabriel Rosado won an eight-round unanimous decision over Jose Medina by scores of 79-72, 78-73 & 80-72. The victory raised his record to 15-5 (8 KO). The 4-0 (2 KO) Bryant Jennings steps out of Philly for the first time in his career. Only a pro since last February, Jennings faces a debuting Randy Smith in a four-round preliminary bout on the Adamek-Maddalone card. Under the tutelage of old Philly salt Fred Jenkins, Bryant Jennings showed some real promise in his first four starts. Half of his fights have ended early. In Newark, Jennings looks to keep the train on the tracks and close out his first year of ring action. 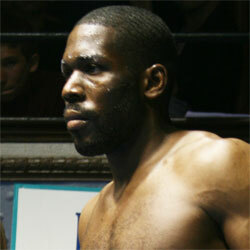 UPDATE: Bryant Jennings won his scheduled four-rounder vs. Randy Smith by 2nd round TKO. The time was 2:18. 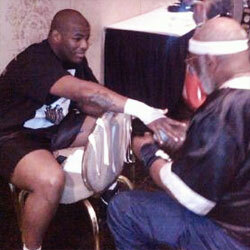 Another local enigma, McCants (8-1 / 3 KO) has some buzz thanks to an amateur stoppage of highly ranked Mike Jones. Granted that was a long time ago, but McCants looked good (although rusty) in his 2009 return at the Blue Horizon. It was his first fight in three years, and his most recent start. 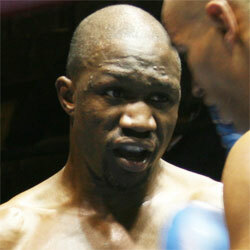 He also has a 2006 win over Rosado's Newark opponent, Jose Medina. On Thursday, he gets 9-0 / 6 KO prospect Raymond Biggs Jr. Biggs is still forming, but he's got a win over trial horse Chris Gray. It should be an interesting challenge for McCants, which only came about this week. Perhaps the early promise of "The Mongoose" will surface Thursday, and we'll have another local to watch. But he's going to have to post some fights in 2011. UPDATE: Phillip McCants' six-rounder with Raymond Biggs Jr. was scratched the day before the fight when Biggs pulled out of the bout. Dhafir "No Fear" Smith (23-19-7 / 4 KO) proves that his nickname fits as he answers the call to fight in the hometown of a fading but still relevant Jeff Lacy in a 12-rounder for the UBO Super Middleweight Belt. 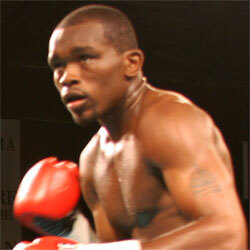 "Left Hook" Lacy, a former world champ and multi-regional title holder, is 25-3 with 17 KOs. It doesn't look like a great match for Smith, but the Ike Williams look-a-like is a tough road warrior who has always made it his business take these difficult matches in stride, and truly test his opponents. At 28, this is probably the biggest fight of his nine year career - just watch that left hook. UPDATE: Dhafir Simth upset all odds with a 12-round unanimous decision over former champ Jeff Lacy to claim the vacant UBO super middleweight title belt. The scores were 116-112, 118-110, 117-111. 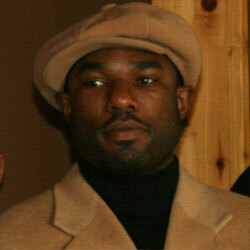 Undefeated Philly heavyweight Byarm (9-0 / 6 KO) is the son of 1980s local star Lionel Byarm. He gets his first scheduled 8-rounder next week in Maryland versus Theron Johnson (4-3 / 1 KO) in the card's semi-windup. All but one of Byarm's bouts have occurred in Maryland. So Philly fans are still waiting to get a look at him. Nothing in this match says he won't continue his roll. Hopefully he'll soon be back for his hometown debut. UPDATE: Lionel Byarm stopped Winston Thorpe at 2:51 of round five to raise his record to 10-0 with 7 KOs. What can we say? 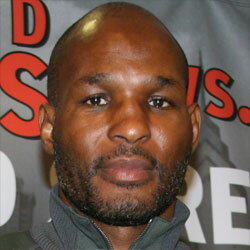 Bernard Hopkins is still out there building his legacy fighting many top guys. At almost 46, all Bernard's opponents are younger than he is. But somehow he continues to turn back the clock. This is mostly due to his unquestionable greatness, but his matchmaking skills should get a big assist. Later this month he travels north to take on Jean Pascal for the latter's WBC & IBO light heavyweight championship. 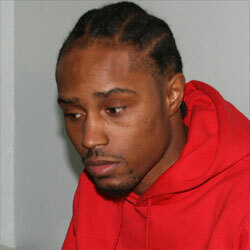 Pascal surprised many by beating the division's top dog Chad Dawson. Matchmaker Hopkins wanted no parts of Dawson, so Pascal's victory opened the door for Bernard. Apparently Pascal looked human enough struggling to victory against Dawson for Hopkins to make the fight - and chances are, he'll beat him. A win on 12/18, will make "the Executioner" the oldest man to win a major world title (he'll be a month older than Foreman was when he regained the heavyweight crown). But boxing history wasn't meant to be manipulated like this. Having said that, nobody does it better than Bernard. UPDATE: Bernard Hopkins fought to a 12-round draw against Jean Pascal. Although the decision was disputed by many - especially Hopkins - the verdict stuck and prevented Bernard from bringing home another title and becoming the oldest man to ever do so. Hopkins had to twice climb off the floor from early knockdowns but rallied to dominate much of the fight. He showed real signs of age, but his performance was strong enough to make him want to fight again. So maybe that "oldest" distinction is still in his future. While digging through BoxRec, I stumbled on a tentatively scheduled fight for Christmas Day. I couldn't believe what I saw. 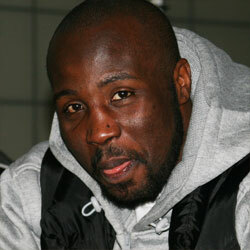 Cruiserweight Simon "One Punch" Carr was slated to fight a 4-rounder against an opponent to be named. I really like Carr, so this discovery was met with a groan. Why does this jack of all trades and master self promoter need to fight again? It's been more than a year. So hopefully this is more an act of physical fitness than a real fight. The safety net is that no promoter is crazy enough to do a show on Christmas. I'll give odds it won't happen - at least not on 12/25. But will a Carr comeback happen? Say it ain't so. Come on, Simon. You don't needs this. UPDATE: Thankfully this Christmas Day fight card was cancelled, and Simon "One Punch" Carr did not step into the ring. Hopefully in the future, he will only do so to wave at the ringside crowd.